In a recent Bloomberg Television interview, Head of Microsoft Research Peter Lee described his company's latest achievement: An elevator that uses AI to figure out which floor you're going to. Microsoft is currently working on a suite of applications and 'smart devices' that, instead of being operated directly, intuitively work on a user's behalf. 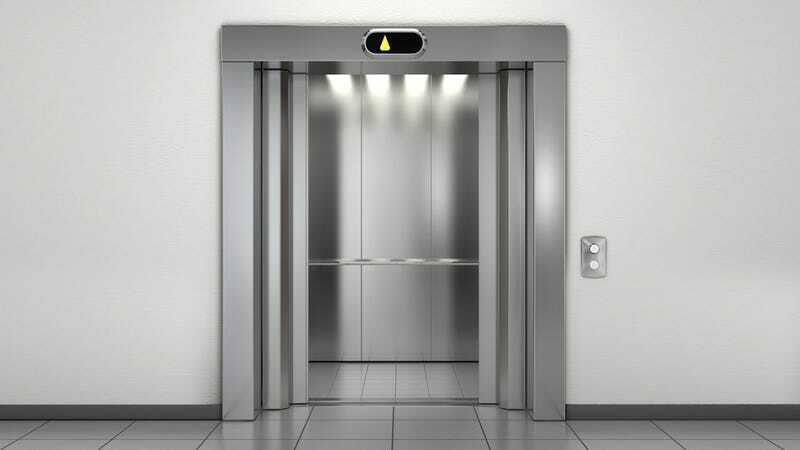 To work, the smart elevator uses sensors to watch what people are doing. Remarkably, it's not equipped with any prior programming, nor does it use facial recognition software. It's simply a learning algorithm that studies behavior. So, by studying the motions of people in hallways, it learns that certain types of people go to certain places at certain times of the day. It's an intelligent system that seeks to understand people's intentions. "If your environment knows, for example, that it's lunch time, that you had spoken yesterday about having lunch with a colleague on the second floor, and that it notices that you seem to be now leaving your office to go to the elevator, the elevator can be smart enough to take you, without your need to operate anything, to your colleague," said Lee. Once the three month training period ended, the developers put the elevator into practice — and it correctly intuited the destinations of its passengers. In the future, Lee says the system could get even better with the introduction of more sensors, including those affixed to the building or embedded in wearables.